Allen head socket cap screws feature a hexagonal recess in the head for tightening with hex keys or Allen wrenches. No side clearance restrictions mean that they are ideal for applications and assemblies with close tolerances. They also usually have higher tensile strength, greater shear strength, and better yield strength than comparable sizes of standard hex head cap screws. 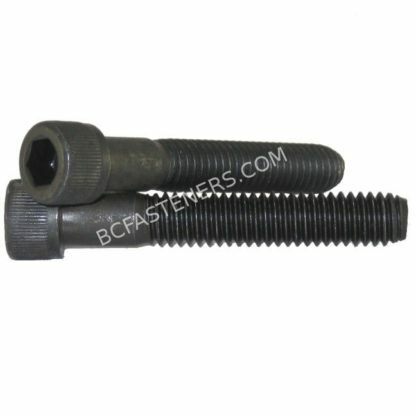 1/4", 3/8", 1/2", 5/8", 3/4", 1", 1-1/4", 1-1/2", 1-3/4", 2", 2-1/2"